The update also brings access to Cineplex Magazine, but with Passbook ticket notifications you will be alerted when you are near a theatre. Just slide across the lockscreen notification and boom, your tickets will appear right away. 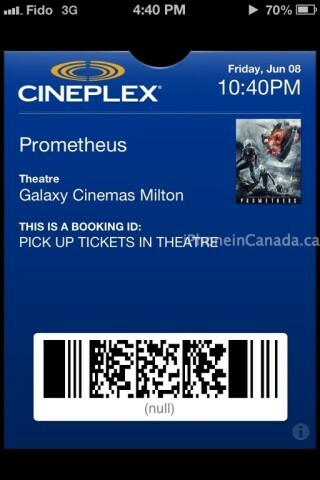 Let us know how your Cineplex Mobile Passbook experience works out!